What is a sin stock? It’s a stock that operates in the tobacco, alcohol, or gambling industries to name a few. Historically, these industries operated without regulations at some point in time until governments stepped in to regulate them. The most recent example is the legalization of marijuana in some countries. Why should you consider these businesses? It’s simple, they are profitable and represents vices that humans want to indulge in. As an investor, you can earn a profit provided your moral allows for it. Altria Group is the largest tobacco company in the US with most of its revenues being generated from its domestic market. Through its subsidiary businesses – Philip Morris USA, U.S. Smokeless Tobacco Company, John Middleton, Nat Sherman and Nu Mark, Altria group engages in the manufacture and sale of cigarettes and other tobacco products in the US. Most of these companies have leading positions in highly profitable tobacco categories. Marlboro has been the largest-selling cigarette brand in the US for more than four decades. In addition, Altria Group owns Ste. Michelle Wine Estates and 10% ownership in the world’s largest brewer, AB InBev. Altria Group, Inc.’s reportable segments are smokeable products (85% of 2017 income), smokeless products (13%) and wine (~2%). The company sells a wide range of cigarettes, machine-made large and premium cigars, pipe tobacco, smokeless tobacco and e-vapor products. The Altria Group is trusted for its premium products, taste, and quality. Cigarette consumption is highly injurious to health and tobacco industry is strictly regulated, but Altria Group has been able to carry its legacy for many years now. The group has developed a loyal base of customers as cigarette brands have a high degree of stickiness. Customers do not easily switch to other brands. The Group owns a huge distribution network consisting of wholesalers, large retail organizations, chain stores, and armed services. It has more than 200,000 retailers in all 50 states. Altria Group has been around for more than 180 long years and has successfully managed to adapt to the changing consumer preferences during its long history. Today the group not only owns a wide range of cigarettes and cigars but has also developed innovative and smokeless tobacco products based on changing trends. Given its premium products, Altria enjoys the privilege of increasing prices in case of falling cigarette volumes as demand for tobacco is highly inelastic. A strong portfolio of leading businesses, sticky products, and strict federal regulations are the company’s key competitive advantages. 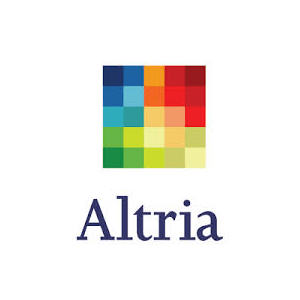 Altria Group has grown dividends at 8% CAGR over the last five years. The company has increased its dividend for 49 years consecutive years and is expected to become a Dividend King in the next year. Its last dividend increase was 6%. The company has a target dividend payout ratio of 80% and management expects earnings to increase by 15%-19% in 2018. Altria should keep increasing its payouts in the mid-to high single digit range going forward. 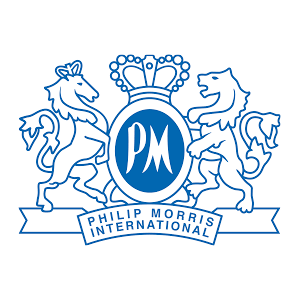 Philip Morris International is a leading global tobacco company. It was formed as a result of a spin-off of Altria Group’s international business in 2008. Starting out as a shop on London’s Bond Street, Philip Morris International has come a long way with a massive presence across the world today. It has 46 production facilities in 32 different countries. In terms of revenue breakup, European Union accounted for 32% of its 2017 income, followed by EMEA (24%), Asia (35%), and Latin America & Canada (9%). The company owns at least 15% of the market share in most of the markets it sells its products in. Philip Morris owns the international rights of globally renowned cigarette brands such as Virginia Slims, Red & White and Marlboro. The company is the proud owner of six of the best 15 internationally selling brands. Its product portfolio is well diversified consisting of a wide range of premium, mid-price and low-price cigarette brands. The company has a strong brand recognition which can be measured by the fact that over 150 million consumers worldwide use its products. Philip Morris stands in a good position to benefit from the growing consumer trend of using smoke-free products, as it is at the forefront of developing less harmful cigarette alternatives. The company has already developed a leading portfolio of smoke-free and other innovative tobacco products and expects at least 30% of its volume to come from reduced risk products by 2025. Extensive R&D capabilities, Strong brand recall, leading market share position, and ownership of valuable trademarks are Philip Morris’ key strengths. Philip Morris last raised its payout by 6.5% marking the eleventh consecutive year with a dividend increase. It has generated a 9.8% dividend CAGR since it went public in 2008. The company expects 2018 EPS to grow by 8%-11% and continues targeting operating cash flow of over $9 billion, which grants good visibility to future dividend hikes. Investors can expect mid-single digit increase in dividends in the future. Brown Forman is amongst the top alcoholic beverages companies in the world, selling its products in more than 160 countries. It is the largest American owned spirits and wine company with a large global footprint. Founded in 1870, the company has honed its rich experience of 150 years in crafting fine American whiskeys. The U.S. is the largest market for Brown-Forman accounting for 47% of 2018 revenues, followed by Europe (27%), Australia (5%) and other international markets (21%). Whiskey constitutes about two-thirds of the company’s volumes. 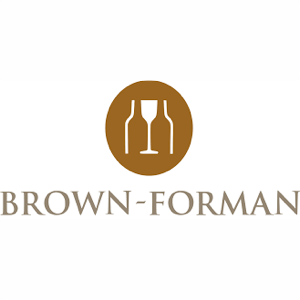 Brown Forman has its own distribution channels in key markets of Australia, Canada, China, Germany, Thailand, U.K. etc. In addition, the company uses its partners, distributors and government-controlled markets to sell its products globally. Brown Forman owns an extensive portfolio of brands catering to almost every category of alcohol – whiskey, scotch, wines, liqueur, vodka, and tequila. Jack Daniel’s, Woodford Reserve, Old Forester, Collingwood, Herradura, Finlandia, and Chambord are a few of its iconic brands. Jack Daniel’s is the best-selling whiskey in the world, while Finlandia is the tenth-largest-selling vodka in the world. Brown Forman is trusted worldwide for its premium quality products. Alcohol consumption is generally injurious to health, but people still drink for pleasure. Given Brown Forman’s long history of selling high-quality liquor, it has become a preferred brand among customers. It is very difficult for competitors to develop the same customer loyalty. The company stands to benefit from the rapid growth in the premium American whiskey category with over 30 unique American whiskey offerings in its portfolio. Brown-Forman is a member of the prestigious Dividend Aristocrats Index. The company has paid regular dividends for 72 consecutive years and raised them for 34 consecutive years. Brown-Forman increased its ordinary cash dividend 8.2% last year. The company recently carried out a stock split and paid a special dividend too. Given management’s shareholder-friendly approach, successful brands, growth in new products and expansion of geographic reach, investors can expect the dividend to increase at a mid-single digit rate going forward. Anheuser-Busch Inbev is one of the leading beverages companies in the world. It was formed as a result of a merger of InBev and Anheuser-Busch in 2008. The company is the undisputed leader of the global beer industry and owns seven of the 10 most valuable beer brands in the world. AB InBev is the world’s largest brewer with a brewing history going back more than six centuries. Today, the company has operations in nine geographic zones and more than 50 countries. By revenue, Americas is its top market constituting nearly 70% of total revenue, followed by EMEA (18%) and APAC (14%) regions. AB InBev also has a growing footprint in emerging markets, with these markets accounting for over 70% volume share in 2017. Anheuser-Busch InBev is the proud owner of 500 beer brands. The company owns star brands such as Corona, Budweiser, and Stella Artois, which are very popular worldwide. The company has developed deep relationships in the industry which is hard to replicate by competitors. AB InBev’s beer is sold in more than 150 countries. Its massive scale and global distribution network give it a strong cost advantage over peers. AB InBev has been growing both organically and through M&A. The year 2016 was an important year for the company when it merged with SAB Miller. It reported the best top-line performance in three years, in its first full year (2017) as a combined company. The combination is expected to return $3.2 billion in cost synergies. 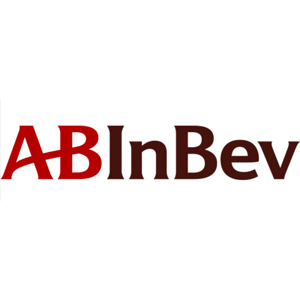 A global, diverse and multi-country portfolio of brands, large scale, deep pockets and a huge global presence are AB Inbev’s key competitive strengths. Beer is a recession-proof product which gives strong cash flow visibility. AB InBev is poised to benefit from its leadership position globally as beer is the No.1 alcohol beverage category. Its global beers are growing at a faster clip as compared to its overall portfolio. The company has an impressive dividend yield of over 3% and pays dividends semi-annually. It has maintained an impressive double-digit dividend CAGR over the past years. Dividends for FY17 stood at €3.60 per share, same as the last year. The management expects a “modest dividend growth” over the short term. Constellation Brands is an international producer and marketer of alcoholic beverages. It is the world’s leading premium wine company. The company reports its operating results through three segments – beer (more than 60% of revenue), wine and spirits (~40%), and corporate operations and other. Starting as a small wine producer in New York in 1945, Constellation Brands has become the third largest beer company in the US behind Anheuser-Busch and MillerCoors. The company is the leading imported beer company in the US and also has operations in Mexico, New Zealand, Italy, and Canada. Constellation Brands sells six of the top 15 best-selling imported beer brands and 19 of the 100 top-selling wine brands in the US. Given its scale, the company is in a good position to capitalize on cross-promotional opportunities. The company has a large network of wholesale distributors which facilitate sales of of its products across US states. 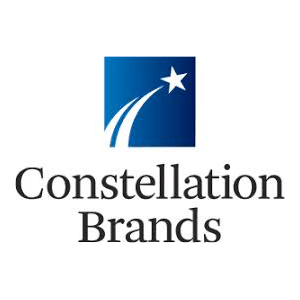 Constellation Brands owns more than 100 brands in its portfolio and many of its products are recognized as leaders in their respective categories. Corona Extra, Modelo Especial, Ballast Point, Robert Mondavi, Kim Crawford, Ruffino, The Prisoner, SVEDKA Vodka and High West Whiskey are some of its well-known brands. The company has also invested in a Canadian medical marijuana company called Canopy Growth, last year, to create cannabis-infused drinks. As a leader in premium brands, Constellation Brands is set to benefit from the growing demand for premium products and growth in the U.S. per capita consumption of wine and spirits. Over the years, the company has successfully managed changes in consumption pattern across categories and is favorably placed to keep growing in different alcohol categories. Constellation Brands raised its dividend payout by 42% last year which was biggest ever hike since it started paying dividends in 2015. The company is targeting organic sales growth in the low to mid-single digit range and a dividend payout ratio target of 30%, which is quite low and indicates sufficient room for future growth. Given positive industry trends and its leadership position, Constellation Brands should comfortably increase its payouts in the future as well. Depending on your investing strategy, there are other sin stocks for you to consider.